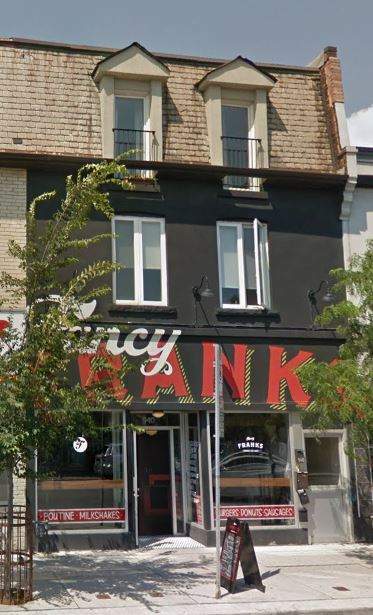 This three-storey building is located between Dovercourt Road and Ossington Avenue. Bloor Street West attracts both vehicle and pedestrian traffic, providing a great advantage to new and promising businesses. Public transit in the area includes east- and westbound TTC stops for the 161 Rogers and 300 Bloor-Danforth routes. Furthermore, the Ossington Subway Station and additional TTC stops are located around the corner from the property. This well-maintained building consists of five units: a main floor storefront unit and apartments filling the second and third floor. The exterior façade on the first and second floor has been redesigned. Street parking is available on Bloor Street and Delaware Avenue.